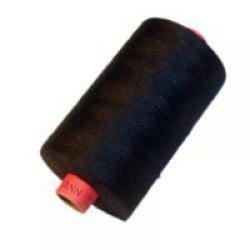 Polyester core thread with cotton surface. Use for tent and tarp seams. Cotton expands when it gets wet so seam will be almost waterproof. Thread manufacturer recommends #90 or #100 needle, but on thin tent fabric usually #70 also works, and you get smaller holes and less water leaking through the seams. Rasant is certified according to the Oeko-tex Standard 100 for textiles tested for harmful substances. Product temporarely out of stock. Order will be delivered after 5 to 25 day delay.